In addition to scholarships and teacher grants, PEF supports several other programs that enrich learning for PCPS students. Grants are often awarded to student organizations to help defray costs to leadership conferences or student competitions. We also honor the Teacher Of The Year from each school and retiring school employees. 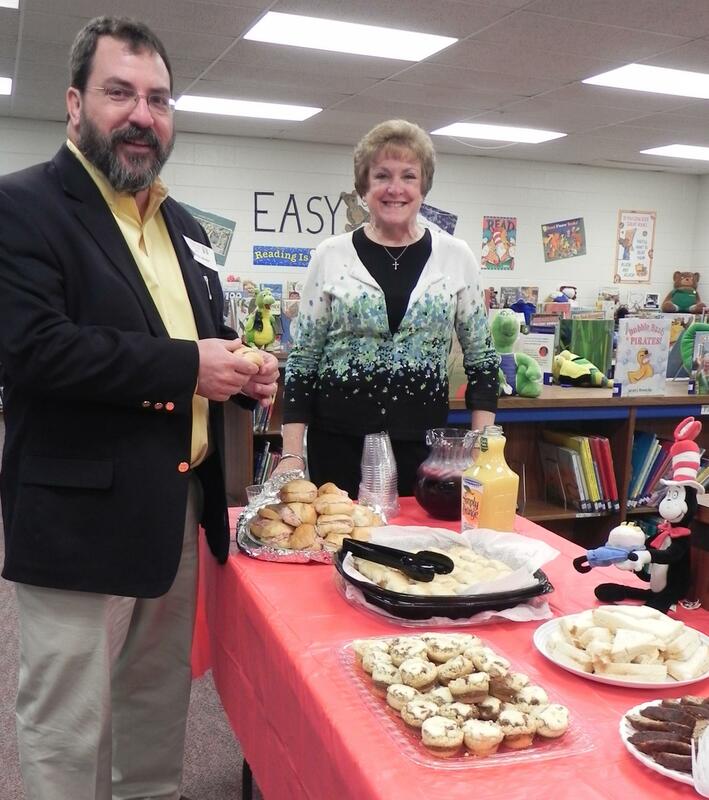 Real Men Read is held at Poquoson Primary and Elementary Schools on or near the birthday of Dr. Suess. Male mentors from the community visit each classsroom and read a book to the students. The morning is topped off with a reception provided by PEF. Teachers Of The Year from each school are honored by PEF with the placement of a brick in PEF's Legacy Walk. Retiring faculty and staff are paid a surprise visit in June by PEF directors who present each person with a rose and gift card to Surf Rider Restaurant.